Why start an online T shirt business? T shirts never go out of fashion. Well actually they do, but that just makes people buy more of them! According to Bloomberg, online T shirt company Teespring sells over 7 million tee shirts per year, and literally hundreds of private individuals are making over $100,000 per year selling T Shirts online. Some even make over a million dollars! So there is definitely a big market there. From our point of view, as passive income seekers, an online t shirt business fits the bill very well if you use a drop shipping system for fulfillment. That way, once you have created your designs (which can be outsourced if design isn’t your bag), and built your online store, your business requires little or no hands-on intervention in order to operate. Orders are sent directly from your online store to the tee shirt printer, who manufactures the shirt and sends it straight to your customer. Once your store is populated with your shirts, and linked to your drop shipping t shirt printer, all you have to do is to send traffic to it. Order processing, payment, and shipping are all handled for you. Revenues can be almost instant. Once you’ve created your designs, and setup your store, you can start selling right away. It’s not unknown for the whole process starting from scratch to first sale, to take less than 24 hours. So it’s an attractive business for a passive income seeker. Startup costs are tiny, the market is massive and evergreen, and through drop shipping it can be made very passive. 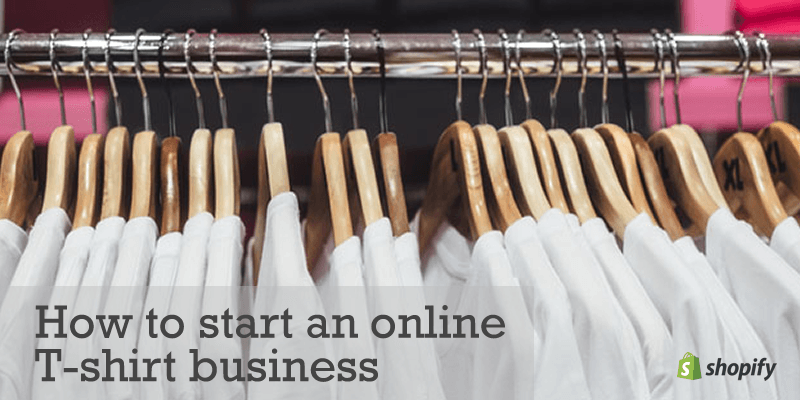 Shopify have produced an excellent resource – How To Start An Online T-Shirt Business: The Ultimate Guide which is essential reading for anybody interested in starting a t-shirt business online. Isn’t there too much competion? Because of the obvious attractions of this business model, there are a lot of people selling tee shirts online. You’ve no doubt seen all the Facebook ads for t-shirts proudly bearing your surname, college, favourite dog, sports team, or whatever. They are all the rage now, mostly due to the phenomenal success of TeeSpring. But competition doesn’t mean it’s not a viable business, in fact it means just the opposite — it means there’s a big market. What you have to do is to go niche. Rather than try to create shirts that appeal to everybody, create something unique that appeals to a specific group of people. If you go narrow enough, nobody else will be doing it. So rather than just produce shirts for people who like dogs, make a shirt for people who love Tibetan Mastiffs, for example. There will still be competition, but very much less of it. And it won’t be difficult to come up with something that’s much better (just Google ‘tibetan mastiff t shirt’ if you don’t believe me). As well as reducing the competition, going niche makes it easier to target your potential customers. People with similar interests tend to hang out together, and share things. There may be Facebook groups or pages where you can reach your customers, or perhaps online forums, or websites. You could even start your own pages and groups, and build your own community where you can sell your products (this is actually pretty easy to do on Facebook, and it’s free!). If you have a gift for graphic design, then coming up with the design might be the easy part for you. Most of us don’t however, and you may be surprised to learn that many of the most successful online t-shirt sellers are also useless at design! It’s not actually necessary to be good at design yourself. In fact it’s probably better not to be, so you don’t get distracted by endlessly fiddling with your designs, when you should actually be coming up with new ideas and working on your marketing. Good designs can be outsourced relatively cheaply, leaving you free to work on your business rather than in your business. There are several routes you can take. You can hire freelance designers from sites such as Freelancer and Upwork and brief them to produce t shirt designs for you. You can also buy ready-made tee shirt designs from sites like Designious and T-Shirt Factory. Tucker Shreiber has produced an incredibly detailed case study showing how he setup a t shirt store from scratch, came up with the designs, tested the ideas, and built and promoted his store. He shares the whole journey, and exactly how and why he did everything in How I built an online t-shirt business and made $1,248.90 in 3 weeks. It’s a fascinating read and contains many valuable lessons for any online business startup. 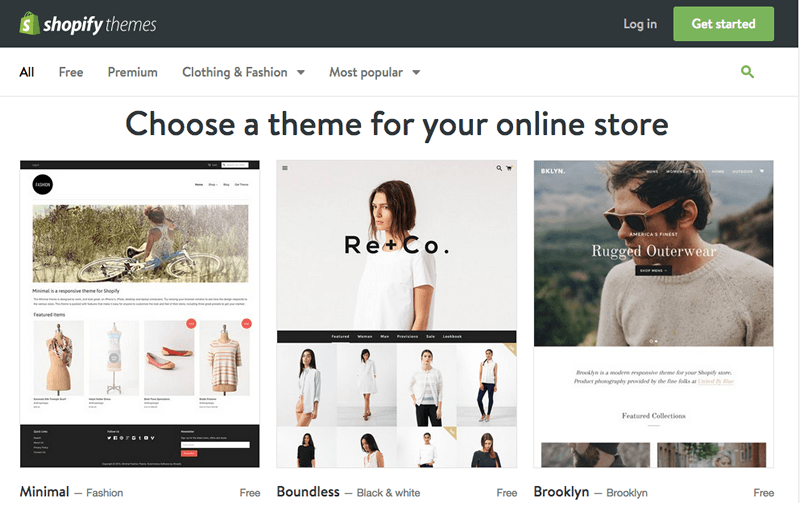 The first thing to do is to signup for a free trial with Shopify to create your store. It’s very straightforward, you’ll just need to choose a name for your store, and follow the simple on-screen instructions to setup your store. Choose a theme that you like, which will determine the appearance of your store. Make sure your theme is mobile responsive, as more and more people are buying on mobile devices these days. There are some excellent free themes available, or you can splash out on a premium theme if you prefer. Next, you need to choose a print-on-demand dropshipping partner, who will make and ship your shirts for you, directly from your Shopify store automatically. Personally, I like Printful as they have a good range of garments, and the app is very easy to use, but have a look at the others and see which you suits you the best. Then you just need to upload your designs, and you’re ready to go. It’s really never been easier to setup an online t shirt store. The video above, and Shopify’s Guide tell you everything you need to know, and explain everything very clearly. 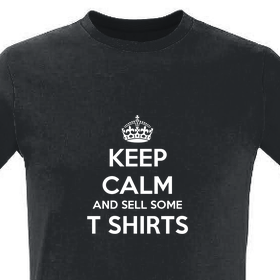 Follow along with the video and you can have your online t-shirt business up and running with an on-demand printing and dropshipping service in just 20 minutes. You don’t need any design or coding experience, just a few good ideas!